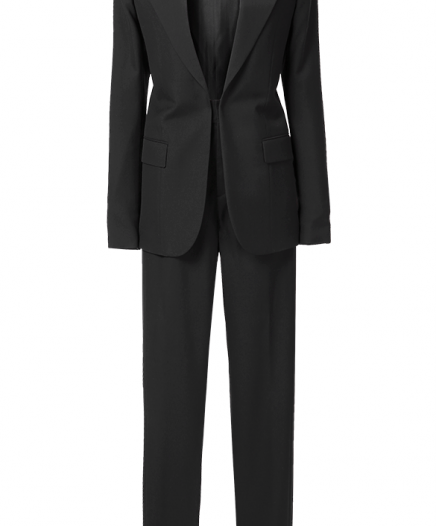 SAINT LAURENT Classic tuxedo. 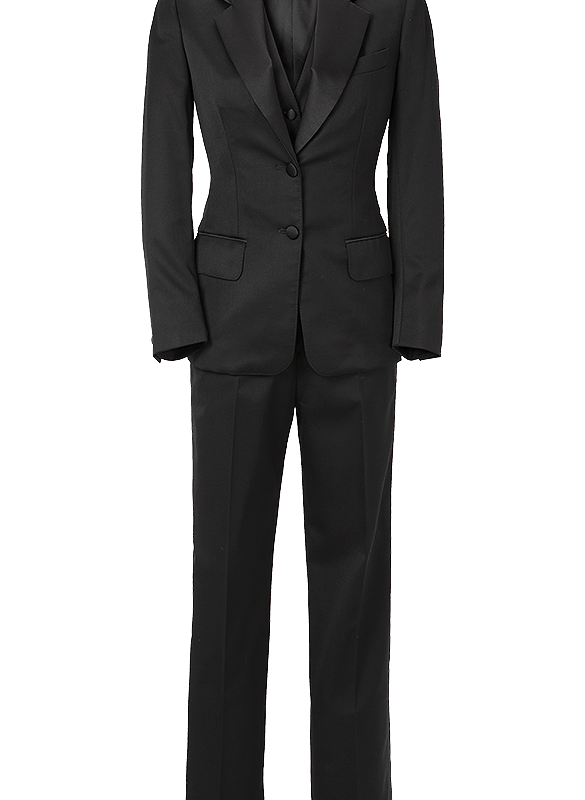 The luxury designer YSL signs the perfect tuxedo and consists of straight pants, a fitted vest and a fitted jacket. Rent it for an elegant and timeless androgynous look during a ceremony or a very well dressed party. Size FR34 is also suitable for a size FR36. The model is 172 cm tall and is wearing a size FR34.